Instant Volume, Virtually No Weight! 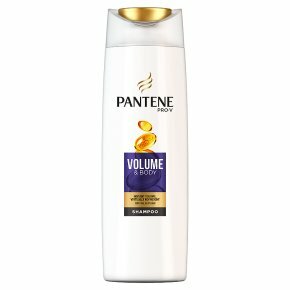 Pantene Pro-V Volume & Body Shampoo fortifies your fine hair. For healthy-looking, light and voluminous hair. For best results, use with Pantene Pro-V Volume & Body conditioner and treatment. Helps fortify your fine hair to its full volume potential. Leaves your hair looking full with lightweight body and shine. Helps protect your fine hair from styling damage. For fine,flat hair.Pantene Pro-V Volume & Body gently cleanses, while giving hair with active Pro-V Nutrients for a healthy look & shine. Instant volume for your fine hair, with virtually no weight.